Home Blog 15 Facts About Halloween ‘Witch’ you May Not Know! 15 Facts About Halloween ‘Witch’ you May Not Know! We thought you might like a few interesting things regarding Halloween to get you in the mood for it all! Halloween is a contraction of “All Hallows Evening” and dates back to circa 1745. Samhain is the Gaelic word for Halloween and came from the “Summers End festival held around the 31st October. Halloween became a major holiday in the USA due to mass immigration from Ireland and Scotland. Folklore says that the Jack-o-Lantern represents a soul which could gain neither access to Heaven or Hell. Traditionally it was a Turnip that was carved and not a Pumpkin. In Scotland it was considered that girls would see their future husbands in drying sheets or mirrors on Halloween. If they saw a Skull then it was considered that they would die before getting ‘hitched’. Bit rough that. Halloween is the UK’s 3 largest spending ‘festival’ behind Easter and Christmas. The heaviest pumpkin on record weighs in at 1054.01kg or 165st. The Largest gathering of ‘Vampires’ on record is 1,039 in Doswell, Virginia, USA. The first recorded poltergeist was recorded in Germany in 856. Michael Myers mask in the film ‘Halloween’ was a $2 mask of William Shatners face. Finally. The largest recorded gathering of people in Halloween costume was at The Superdrome in New Orleans. 17,777 people turned out in all their ghoulish glory! And if you’re stuck for a costume this year here is a picture of a Baby leading the way in costume design. 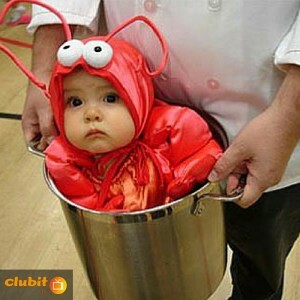 A Baby Lobster in a pot. 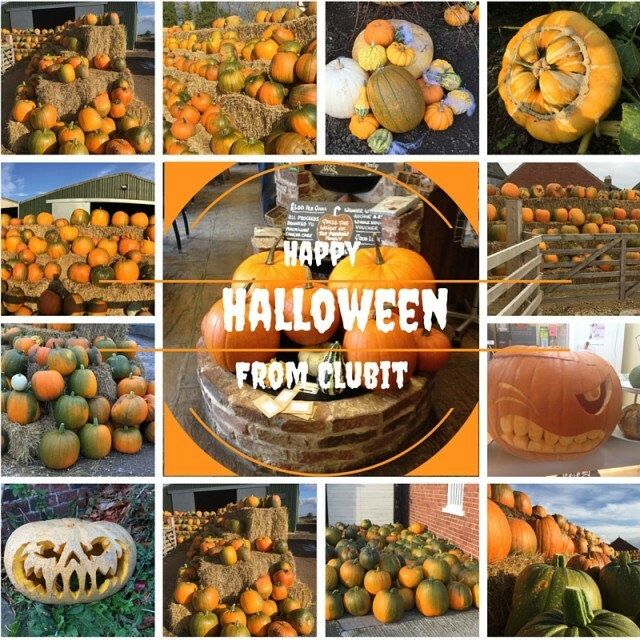 Have a great Halloween from all of us at Clubit! 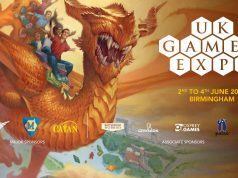 Next articleClubit Gamings Top 5 Scary Indie Games !